As telecom technology continues to evolve, deciding which business phone system in Oakland are best for your office is an ongoing challenge for IT departments. Whether you need a large corporate integration or a small business telephone system in Oakland, Aptera helps you integrate them seamlessly into your myriad of systems and workflow. Starting with a basic understanding of PBX, VoIP systems and other available options will help you make a decision that meets the ever changing telecommunication needs of your business. VoIP (Voice over Internet Protocol) phone systems that transmit, forward and route phone calls over the Internet have changed telephony forever. Aptera partners walk you through every step setting up your VoIp phone system in Oakland, Fremont, Hayward and Berkeley from choosing features, installation and training. These cloud bases virtual PBX systems in Oakland are often the first choice for new and small businesses because of flexibility in features, increased reliability, and lower setup costs. Cloud based VoIP or virtual PBX (private branch exchange) business phone systems are hosted on a secure, shared, off-site data center. This allows non-tech employees to set up and use the virtual software platform to make or receive phone calls in the office, at remote locations, and even at home. Virtual PBX technology means less IT troubleshooting on the user side, a multitude of available features, and no requirements to spend money on hardware installations or upgrades. You buy the business phones, pay for monthly service, add SIP Trunks as necessary, that's it. The knock against full VoIP systems in Oakland, Fremont and Hayward has been reliability because if there is a localized Internet outage you temporarily lose all service. Locally hosted, or premise based traditional PBX is installed, managed, and maintained at the business site—usually in a server closet with other hardware. While the functions are very similar to cloud based systems, it should be noted that all features are provided by the installed equipment at your location. You get more control with a PBX system installation in Oakland, Fremont, Hayward and Berkeley but upgrades can be costly as new equipment must be purchased, installed, and configured by someone on your staff. Run through traditional copper wiring and switches to handle transfers, extensions, and directories, they offer maximum reliability. 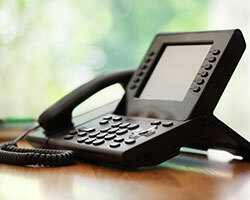 VoIP systems are gaining in dependability as technology continues to advance. The tide is turning against traditional PBX networked office phone systems in Alameda County as the expense to set up and maintain the infrastructure is too great and cloud based options for SIP trunking with a web interface are increasingly reliable. Cloud based VoIP can handle your multi-location business with ease and allows you to use one interface to manage and control your call details. If you have locations 5 locations across Oakland, Fremont, Hayward, Berkeley and San Leandro, a business phone system that isn't reliant on IT staff in Oakland makes the most sense. No centralized IT department needed and your security department can still monitor all data remotely. When IT managers are trying to upgrade their office phone system in Oakland, Fremont and Hayward it is easy for 'feature bloat' to grind the process to a halt. There are an immense number of valuable features to choose from but your primary decision maker for telephone systems must be able to decide which feature are necessary, which add some value, and which are just useless bells and whistles. Nationwide Phone Numbers - Choose phone numbers for Alameda County extensions based on where where your customers are. Modern high tech office communications systems that combine faxes, video conferencing, data flow management, landlines and cell phones are data intensive . If your building is still wired with old copper wire you will need to upgrade to a fiber optic line to meet these demands. Corporate sized telecommunication systems need WAN (wide area network) for higher speed connectivity between multiple office over large distances. Requirements include at least a T1 line at each location and CAT 5 (category 5 twisted pair) connections for up to 1000 MHz. Fiber optic networks can connect directly into your business phone system in Oakland circumventing the need for traditional landlines in new buildings. For very large offices with high data demands where a T1 might not cut it you may need a stronger connection to the internet backbone with OC48 (Optical Carrier Level) up to 2.5 Gigabits/second or OC192 up to 10 Gigabits/second. Find out how much training is offered by the Alameda County telecommunications contractor? Also find the average time it takes to set each employee up. What will a phone system cost in Oakland for my sized business? This is a major factor when ultimately selecting a system but quick, cookie cutter pricing rarely reflects the final price you pay. Considering upfront installation and equipment costs versus lifetime costs when comparing bids is critical but not always easy. Does money need to be spent on wiring and infrastructure? Are there software setup fees? Who owns the phones? Most Alameda County telephone system prices are highly custom and contractors swap similar telecom jargon so make sure everything is clear and itemized on every bid. To make sure you can handle future growth - both employee count and data flow - keep platform scalability in mind during the discovery phase. Your telephone system must accommodate new technology such as video conferencing, live chat customer service functions and anything else your operations department throws at you. Also what happens if you need to downsize, are you contractually obligated to keep paying for a certain number of lines? In general, VoIP systems in Oakland are the most flexible and you can typically add or remove users in seconds on your web interface. Yes, nearly all VOIP service providers in Oakland offer the ability to choose a number from any US area code. Most small business phone system companies in Oakland offer a combination of training over the phone, video tutorials or online training. Larger companies with more complex telephone systems with long lead times for installation usually include on site training for the in-house tech department (for integration into Salesforce or other external systems) and for regular employees just before launch. Whether you lease or buy business phones in Oakland will depend on the type of system and provider you choose. Most telecom companies lease the equipment to you and provide upgrades periodically to ensure you have the latest technology. Thousands of customer details, credit card numbers, and other secure data pass through phone systems in Oakland, Fremont, Hayward and Berkeley every single day. Security always needs to be a top concern with hacking, toll fraud, and eavesdropping all commonplace and known weaknesses in IP phone system security. Secure phone systems employ firewall technology, signaling and device encryption, and password-coded user features. Oakland business phone systems costs $418, voip phone systems costs $190. Fremont business phone systems costs $430, voip phone systems costs $195. Hayward business phone systems costs $363, voip phone systems costs $165. Berkeley business phone systems costs $426, voip phone systems costs $193. San Leandro business phone systems costs $377, voip phone systems costs $171. Livermore business phone systems costs $323, voip phone systems costs $147. Alameda business phone systems costs $352, voip phone systems costs $160. Pleasanton business phone systems costs $389, voip phone systems costs $177. Union City business phone systems costs $409, voip phone systems costs $185. Dublin business phone systems costs $355, voip phone systems costs $161.